10 times we veered wildly from the critical consensus. Ever come out of seeing a critically acclaimed movie only to find yourself wondering what its champions were smoking? Here are 10 movies where our reviews veered wildly from the critical consensus (based on Rotten Tomatoes) this year. Rotten Tomatoes says: Battle of the Sexes turns real-life events into a crowd-pleasing, well-acted dramedy that ably entertains while smartly serving up a volley of present-day parallels. We said: It would take the forearm of a Greek god to lob a serve over the social justice mountain filmmakers Jonathan Dayton and Valerie Faris have made out of the sporting molehill that was the exhibition match held between Billie Jean King, then one of the sport's top female players, and former player turned professional huckster Bobby Riggs. Rotten Tomatoes says: With an enchanting cast, beautifully crafted songs, and a painterly eye for detail, Beauty and the Beast offers a faithful yet fresh retelling that honors its beloved source material. We said: There's nothing magical or romantic about this oppressive reboot. Whatever its motivation, it plays like little more than a lazy, uninspired cash-in on a recognisable property. In Hollywood, that's a tale as old as time. 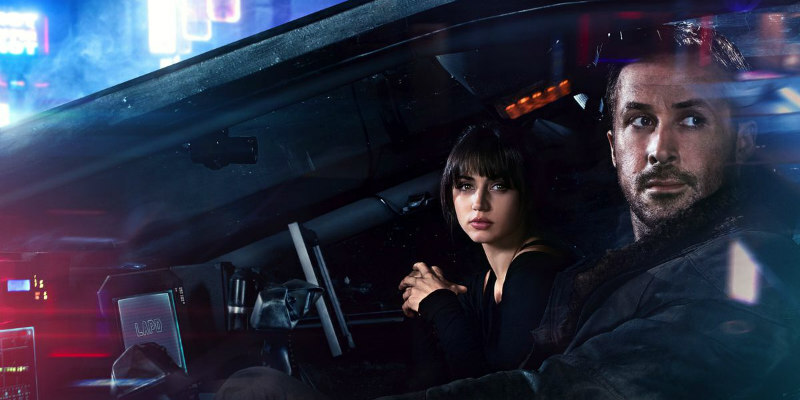 Rotten Tomatoes says: Visually stunning and narratively satisfying, Blade Runner 2049 deepens and expands its predecessor's story while standing as an impressive filmmaking achievement in its own right. We said: As lifeless as a retired replicant, Blade Runner 2049 is as much fun as counting electric sheep. Rotten Tomatoes says: The Fate of the Furious opens a new chapter in the franchise, fueled by the same infectious cast chemistry and over-the-top action fans have come to expect. We said: It's a cynical mish-mash of too many characters, too much CG and too few fucks given. Time for this franchise to pull into a lay-by; it's been asleep at the wheel for far too long. Rotten Tomatoes says: Guardians of the Galaxy Vol. 2's action-packed plot, dazzling visuals, and irreverent humor add up to a sequel that's almost as fun -- if not quite as thrillingly fresh -- as its predecessor. We said: GOTG2 is a new low for Marvel, a cynical venture that's best described as a product rather than a movie. Rotten Tomatoes says: The Lego Batman Movie continues its block-buster franchise's winning streak with another round of dizzyingly funny -- and beautifully animated -- family-friendly mayhem. We said: Much like how Michael Bay doesn't seem to understand the concept of 'transforming', all involved here seem to have overlooked the creative possibilities open to them with the LEGO format, something Lord and Miller tapped into successfully, and the result is little more than an animated version of a Wayans Brothers spoof. Rotten Tomatoes says: High-octane fun that's smartly assembled without putting on airs, Logan Lucky marks a welcome end to Steven Soderbergh's retirement -- and proves he hasn't lost his ability to entertain. We said: With Logan Lucky, Soderbergh and screenwriter Rebecca Blunt appear to be paying homage to the redneck exploitation movies of the '70s - which depending on budget, usually starred either Burt Reynolds or Bo Hopkins - but the cartoonish portrayal of rural American life comes off as patronising at best, offensive at worst. Rotten Tomatoes says: Star Wars: The Last Jedi honors the saga's rich legacy while adding some surprising twists -- and delivering all the emotion-rich action fans could hope for. We said: Say what you will about Lucas; he may have made some bad Star Wars movies, but he never made one as dull as The Last Jedi, a movie with pacing so glacial it makes Solaris play like a Flash Gordon serial. Rotten Tomatoes says: Exciting, funny, and above all fun, Thor: Ragnarok is a colorful cosmic adventure that sets a new standard for its franchise -- and the rest of the Marvel Cinematic Universe. We said: Each subsequent Marvel movie increasingly resembles the experience of watching three episodes of a mediocre sitcom followed by a wrestling pay-per-view. Rotten Tomatoes says: Three Billboards Outside Ebbing, Missouri deftly balances black comedy against searing drama -- and draws unforgettable performances from its veteran cast along the way. We said: McDonagh's message for Americans boils down to "Why can't you just get along? ", but it's delivered in a movie that can't even get along with itself.